Below is continued research from Kathy at GenTracer. She has dug deeper into our family roots to uncover more about our Ciolli ancestors. This may be the last research project that Kathy is able to give to us from the United States. When I met with Kathy in Salt Lake City last month she said that continued research could be done at the family church, the Parish of St Pietro & St Paolo in Pescasseroli. However researching the church records could be tricky. The church index is by first name, then by last name (in Latin form). 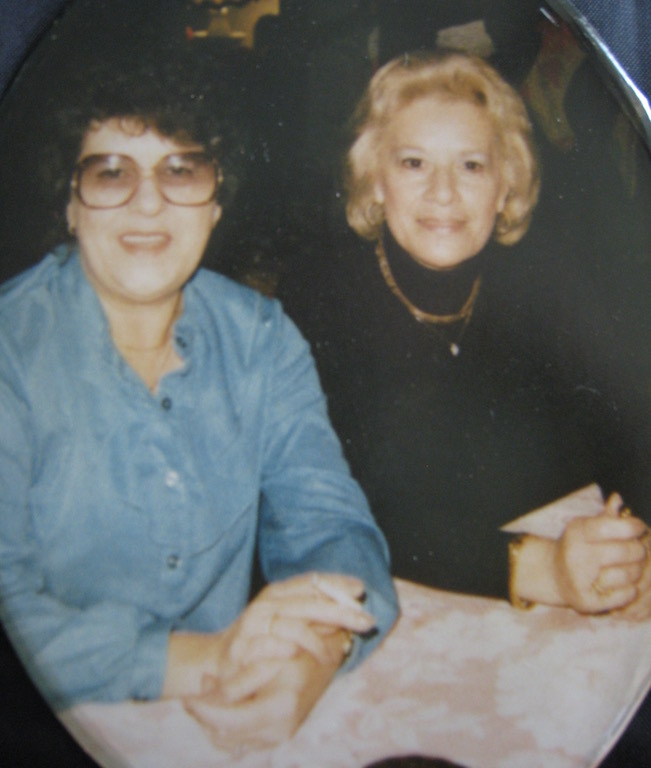 I was able to add many new names to my Ancestry.com tree such as Baldassare Ursitti and Alessandro Cucuzza (my 5th great grandfathers) and Maxine Serone (my 5th great grandmother). 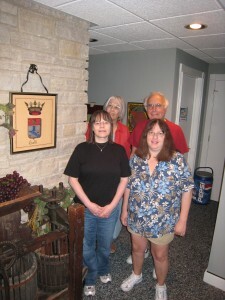 Click here to read some Family Group Records and Source Citations. Thank you Kathy, for your research. 2, (source #2) the marriage processetti (supplementary documents) for the above marriage. This 8 page file started with an extract of the birth of the groom. 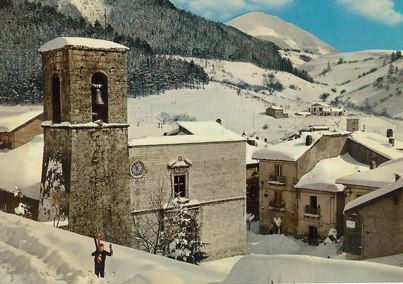 This extract was produced by the parish of Santa Maria Assunta in Opi, click here for a 360 degree view of the church. On 17 November 1798 was the baptism of an infant born the same day at 1700 hours. The child was born to the married couple of Domenico Ursitti, son of Baldassare Ursitti of Opi and to Nicodema Serafina Cucuzza, daughter of Alessandro Cucuzza and Maxine Serone of this place and named Angelico [Ursitti]. Page 2 was an extract of the birth of Nunziata Maria Celesta d’Arcangelo, filed on 9 May 1811 in Opi. The birth was reported by Filippo d’Arcangelo, a citizen, 26 years old and living on strada la Piazza #77. the female child was born at 3 am on 8 May to his legitimate wife, Mariantonia Bevilacqua. She was a daughter of Agostino Bevilacqua and of Barbara Norci, residents of the town of Gallinaro (Frosinone province). Pages 3-4 were an extract of the death of Domenico Ursitti in the town of Villetta (L’Aquila province), filed on 21 May 1829. The death was reported by Arcangelo Celiolonio, 42 years old and a laborer and by Benedetto Clemente, 22 years old and a quarry worker living in this town. The death occurred on 21 May. He was from Opi and at the hospital in Velletta. He was 60 years old, born in Opi and a landowner who lived in Opi. 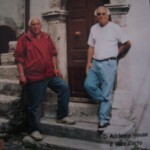 He was a son of the late Baldassare Ursitti, a landowner who lived in Opi. Page 4 was an extract of the death of Baldassare Ursitti reported in the parish of Santa Maria Assunta in Opi. It was reported on 18 December 1790. He was from Opi, about 59 years old. He received the last rites. 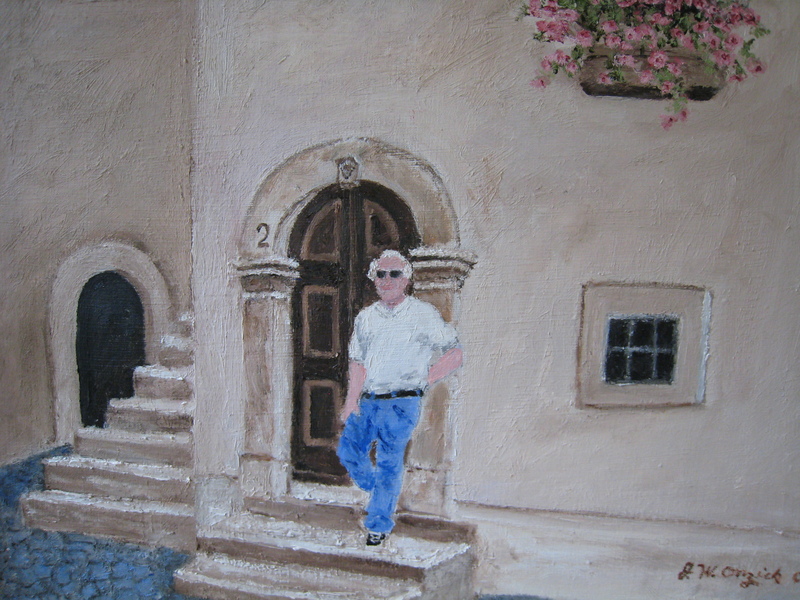 His son was Domenico Urisitti. I’ve been gathering immigration documents from our Del Principe and Ciolli relatives to try to determine who was the first to arrive in the United States. 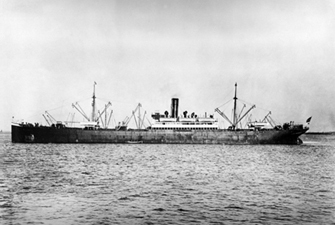 Pietro (my great grandfather) arrived in the United States on May 21, 1891 onboard the Belgravia. Click below for the record, you will be taken to a new page, click it to view. Click the back button to return to the blog post. Immigration Pietro Del Principe 1891 Ancesty.com. If you look closely at the record, the name after Pietro’s is the name of another Del Principe with the initial of M. I have no idea who this is. Darn those record keepers, would it really have hurt to write out the passengers full first name?! Listed next is D. Saltarelli, then L. Saltarelli, and G. A. DiPirro. We have many Saltarelli’s in our family tree and Frank DiPirro married Anne Leone (daughter of Gemma Ciolli). I can just imagine the partying that took place on that ship! Pietro had a brother named Vincenzo who was born Jul 2, 1830. Vincenzo and his wife Lionarda Liboria Rossi were married on Jul 15, 1856. They had at least two sons both born in Pescasseroli Italy; Giuseppe Donato (Daniel) born Apr 1, 1863 and Leonardo born Jun 1, 1866. Leonardo Del Principe’s port of departure was Naples, Italy aboard the ship Chateau Yqeum. He arrived at the port of New York on May 21, 1888 at the age of 22, three years before Pietro. 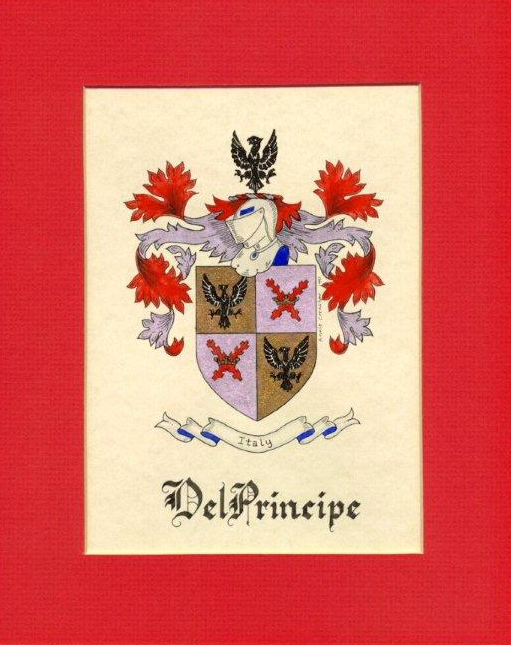 Click here for the record Immigration Record Leonardo Del Principe Ancestry.com from Ancestry.com. I did not find Leonardo in the census records of 1900, but I did find a marriage record for him and Alimarinta Barile on 30 Jul 1904 in Jefferson County, Pennsylvania. Click here for the record Del Principe Marriage Record Family Search. Leonardo’s brother Guiseppe Donato’s (Daniel) port of departure was Naples, Italy aboard the ship Hindoustan. He arrived at the port of New York on Dec 14, 1891. His occupation is listed as a farmer and his last residence was Pescasseroli. 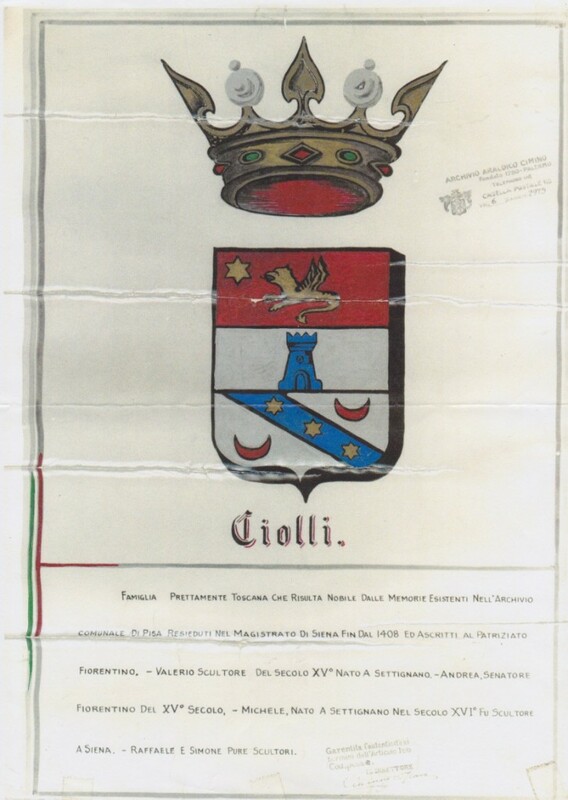 Click here for the record G. Donato Del Principe 1891 Hindoustan FamilySearch.org. Four years later Leonardo traveled from Italy to New York aboard the ship Werra. 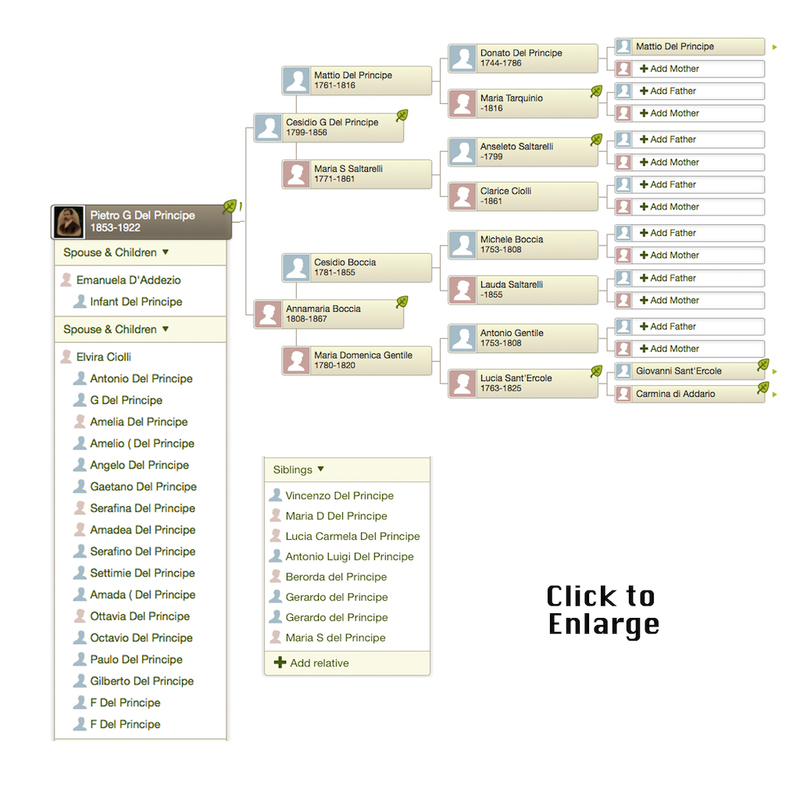 Click here for the records Donato Del Principe 1895 Werra Ancestry.com and G. Donato Del Principe 1895 Werra FamilySearch.org. There is one more record of Donato coming to New York from Italy this time in 1898. 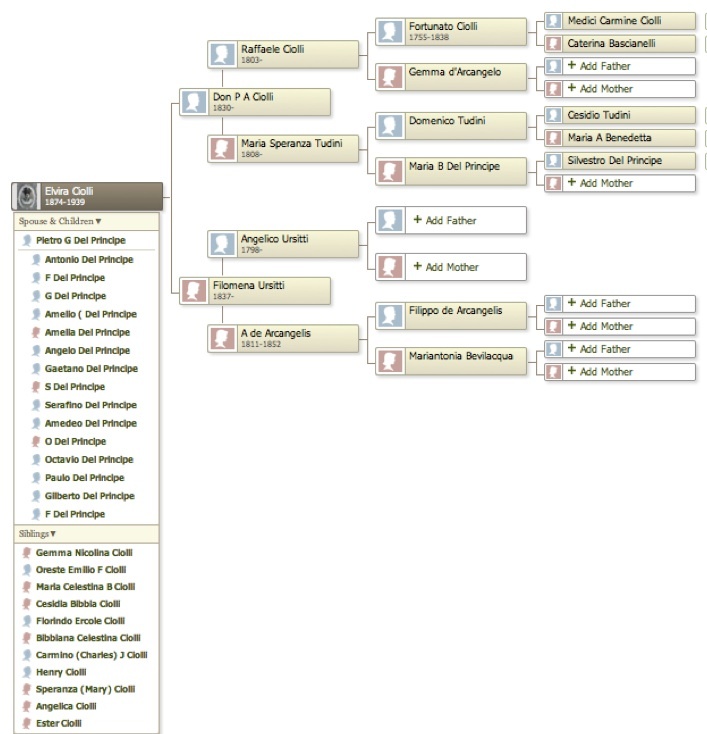 G. Donato Del Principe 1898 Kaiser Wilhelm II FamilySearch.org. The record states he was aboard the Kaiser Wilhelm, his occupation is a Porter, his home town is Pescasseroli, and he is able to read and write. Pietro had one more brother who came to America. Antonio Luigi Del Principe was born on Mar 12, 1839 and died on Mar 11, 1928 in the Bronx in New York. He had three sons that I know of; Nicholas, Henry, and Peter. I was unable to locate any immigration information for Antonio in either Ancestry.com, Family Search or the Ellis Island webseite. The first Ciolli’s to immigrate appear to be Carmino J. age 15 and Oreste Emilio age 33. They arrived on May 1, 1890 aboard the Britannia. 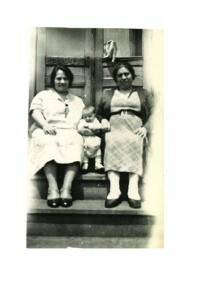 Click here for the record Emilio and Carmino Immigration 1890 Ancestry. 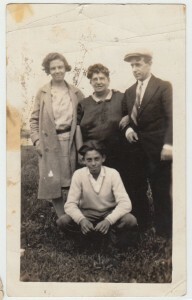 Following her brothers was Elivra Ciolli (my great grandmother) age 25 with three of her sons Antonio, Giusepppe, and Amelio. They arrived on Aug 21, 1893 aboard the Weser. Click here for the record Elvira Ciolli 1893 Ancestry.com Record. The Weser was 351 feet long and 40 feet wide and could accommodate 880 passengers (60 first class, 120 second class, 700 third class aka steerage). It was built in 1867 and scrapped in 1896. How is it possible that a ship this size could hold that many people? Perhaps the crew is included in the third class count. I wonder if Elvira ever got any sleep trying to keep track of 3 toddlers. I’d be worried that they might fall overboard or get lost in the crowd! Angelica Ciolli arrived in New York on board the ship Columbia on Dec 6, 1900 when she was 19 years old. The spelling of her name is wrong in Ancestry.com, it’s spelled Angelia. 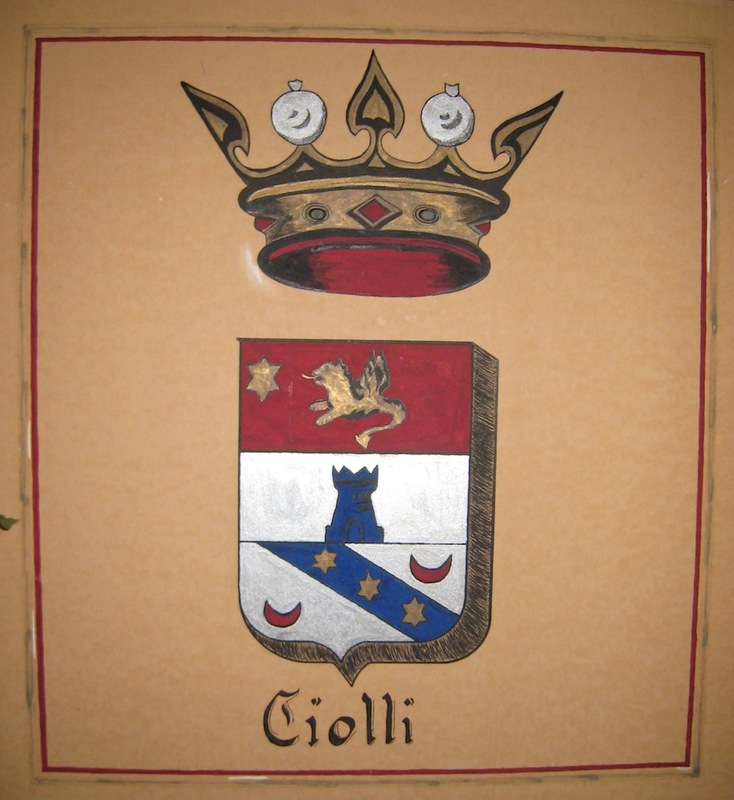 Click here for the record Angelica Ciolli 1900. Her information is on line 1. She is listed as single, occupation is seamstress, she is able to read and write, her nationality is Italian, her residence is Pescasseroli, her final destination is Chicago, she did not have a ticket to Chicago, she paid her own passage, she had $20.00, she had never been to the United States, she is joining her sister Elvira Ciolli, she was never in prison or supported by a charity, she was not a polygamist, her mental and physical health was good, she not deformed or crippled. What a treasure trove of information! Angelica was so brave if she traveled alone. I did not recognize any family names listed along side her name. Maybe she traveled with a neighbor or friend. Gemma Ciolli arrived in New York on Aug 16, 1901 aboard the Patria. She was 46 years old. Click here for the record Gemma Ciolli Immigration 1901 Ancestry. Gemma appears on line 54 of the ships manifest. She was detained because she had “insuff. money to Chicago”. The disposition column reads “to go to husb, Giacomo Leone, 165 Forquer St Chicago, Ill”. Gemma was discharged Aug 21st at 10:00 am. She was detained 4 days. How scary must that have been?! Under the meals columns the following was logged: Breakfast 4, Dinner 4, Supper 4. Was she charged for her meals? What if her husband wired money for transportation from New York to Chicago but not enough to pay for the 4 days of food on the ship? She was probably terrified that she would be sent back to Italy. Bibbiana Celestina, Henry, and Speranza (Mary) also came to the United States however I have not been able to locate their immigration records. And so the answer to the question Who Arrived First? seems to be Pietro’s nephew Leonardo Del Principe, Carmino & Emilo Ciolli were next, then Pietro followed closely behind. I wonder what took Leonardo to Pennsylvania and Carmino, Emilo, and Pietro to Chicago. 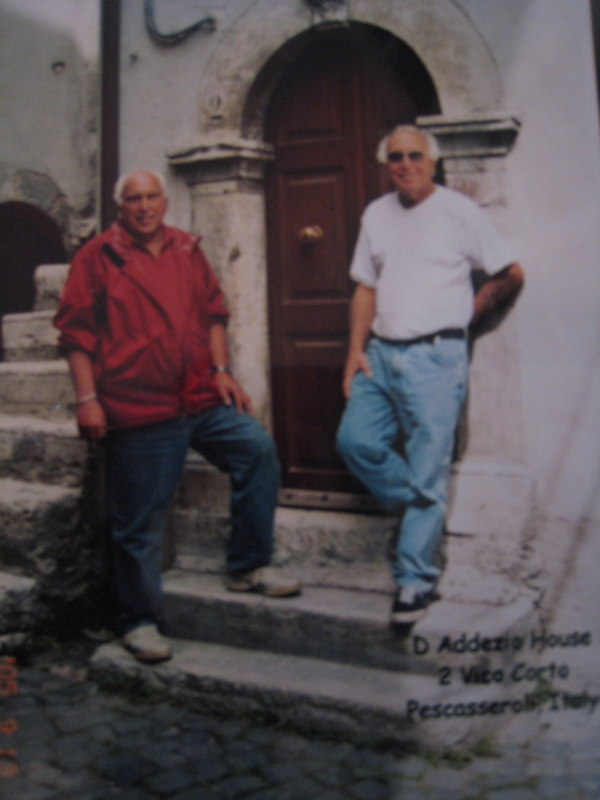 Just think, if they had not ventured to America along with all the Del Principe and Ciolli’s who followed, we would all be running around the hills of Pescasseroli, Italy instead of spread out across the United States of America.